Suffering from a chronic skin condition like dermatitis is extremely difficult. You want relief as soon as possible and you’re willing to do (almost) anything to heal the swelling, constant itching, and redness. While prescriptions and topical treatments are effective, home remedies are just as valuable to have in your arsenal. Fewer side effects and ease of treatment? Yes please! Our roundup of dermatitis home remedies puts you on the fast track to healthy skin. Dermatitis comes hand in hand with dryness, so coconut oil works wonders as a natural moisturizer. It also reduces redness and eliminates swelling. We suggest warming a small amount in your hands and applying it directly to the affected area. This one is probably the simplest of our dermatitis home remedies, but it shouldn’t be overlooked. A cool compress does everything from relieving itching to decreasing inflammation. Leave it on for 15 to 30 minutes at a time and repeat several times throughout the day. As an antiseptic and an antimicrobial, honey also fights inflammation. You can either create your own ointment by combining the honey with olive oil, or apply the honey directly to your skin. Need to soothe your skin quickly? A bath is the way to go! Add a little ground-up oatmeal (colloidal oatmeal works best) or baking soda to lukewarm water and feel the irritation dissipate. Stress and your skin don’t mix. While meditation and other relaxation techniques, such as coloring or walking, won’t make your dermatitis magically disappear, they can reduce your symptoms. We recommend building a little me-time into your day. Both your mental health and your skin will thank you. Yet another reason to save the bees! Beeswax has slight anti-inflammatory and antioxidant properties, which can help reduce the swelling associated with dermatitis. This healing balm recipe has worked wonders for us. Plus, it smells amazing! In addition to dermatitis home remedies, you should consider your skin care routine when creating a treatment plan for yourself. 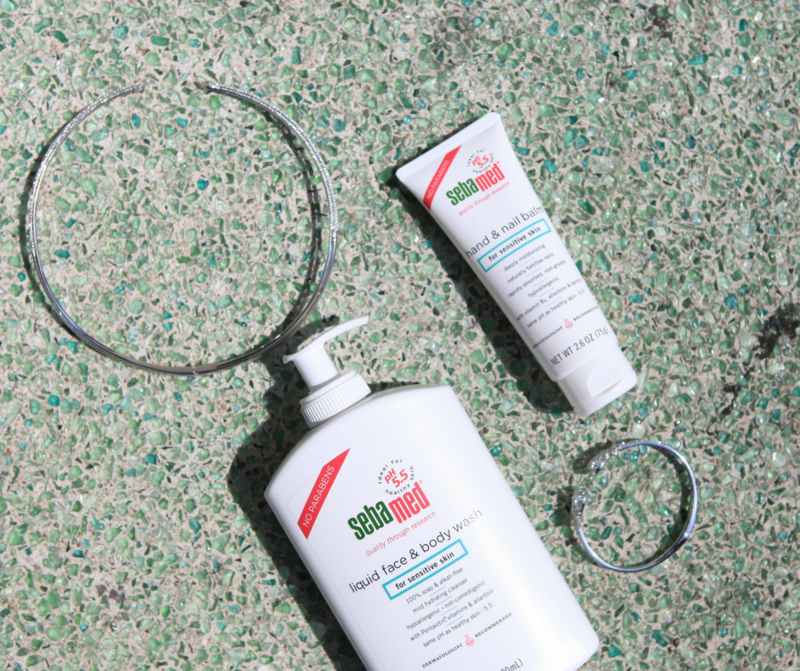 Here at Sebamed, we carefully formulate each of our products to stabilize the pH level of your skin. Use any of our creams, washes, or lotions and feel the difference of pH 5.5. Our full lineup can be found here.